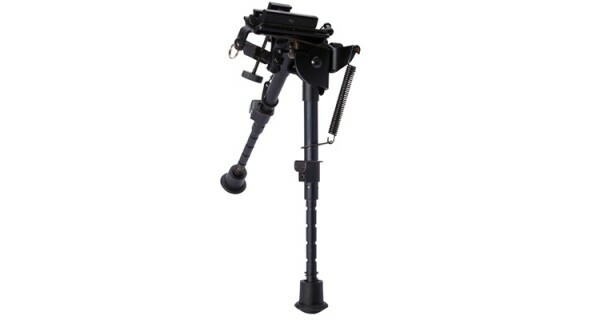 A professional compact bi-pod for Airsoft sniper rifles and tactical carbines. The special pinch mount fits most of sniper rifles. Each of the adjustable legs with grooved wide rubber feet have 6 positions that combined with the spring tensioned free-cant mount allows the rifle to achieve a level platform on any surface, for optimal use of the hop-up which is a must for accurate long range shooting. Included is a R.I.S. mount for mounting on any 21 mm rails making this a truly versatile bi-pod. And any rifle with an under barrel 21m rail.